It’s not the metaphorical political meltdown of Belgium that neighbouring governments fret about, but a nuclear meltdown. The Netherlands, Luxemburg and Germany have all asked Belgium’s government to close its most risky reactors with immediate effect. The city of Aachen and 30 other major cities and districts are also suing Belgium for not closing them. The German government no longer trusts the Belgian Nuclear Safety Agency and wants permission for its own agency to do safety checks. So far, foreign pressure is falling on deaf ears. So rather than signing agreements with Belgium about sharing information, where are the sanctions for Belgium? There are both EU and UN regulations that could shut the reactors down, as more than a million people requested a year ago. Belgium’s neighbours have reasons to get tough. Belgium’s recent nuclear history reads like a mirror of Germany’s, where the highest court decided that Merkel’s decision to speed up the nuclear phase-out after the Fukushima incident was justified. Belgium did just the opposite. The Belgian government reversed a nuclear phase-out law from 2003 only a year after the Japanese reactors exploded, pushing retirement back from 2015 to 2025. The last bill to postpone retirement with 10 years was approved at the end of 2016. The Government can ‘take comfort’ at the fact that 2017 started better than 2016: in 2016, the first ‘incident’ happened just two days into the New Year on January 2; in 2017 the first incident (in which one person got severely injured) took place eight days later on January 10 with an unexpected shutdown as result. Yes, the protesting former president of the European Parliament Martin Schulz was born and raised close to Belgium’s border and yes, I was born and raised 15 km from four nuclear reactors in Doel, in the city of Antwerp (half a million people). But before you call us NIMBY (Not In My Back Yard) activists: our backyard contains six to seven million people that in the event of a nuclear meltdown would never be able to go home again. Depending on the wind direction on the day of a meltdown, a radioactive cloud will poison additional people in London, Paris, Amsterdam or Aachen as well. The possibility of that scenario has increased in recent years. In 2012 it became known that the mantle around the old Tihange 2 reactor shows signs of erosion. Further research in 2015 concluded that there are thousands of cracks of up to 15 cm. Later that year, 10 security incidents were recorded in Tihange in just six weeks, leading Belgium’s nuclear safety agency to suspend four members of staff and raise serious questions about the safety culture. In 2015, Belgian’s nuclear plants spent longer in shutdown or “maintenance” than in being operational. Who said nuclear energy was a reliable source of energy? But it is the Doel plant that reads like the script of an apocalyptic Hollywood blockbuster, part one. The plant was sabotaged in 2014. The sabotage was found before things spiralled out of control, but the culprit(s) remain unknown. A year later, police found hidden cameras that followed the movements of a nuclear researcher, raising alarming questions about criminals extorting staff. Research also revealed a staggering number of cracks in the mantle that is supposed to keep the Doel 3 reactor in check: 13,047. The cracks are on average 1 to 2 cm wide, but the largest ones are up to 18cm. And with 35 years of operational history, the researched Doel 3 is the second “youngest” of Doel’s four reactors. Belgium’s nuclear safety agency concluded after the tests in Tihange and Doel that the erosion of the mantle was due to normal reactor activity. They can thus be expected to be present in all plants in the world of similar age and to keep multiplying through normal reactor use. In terms of potential economic impacts, Doel is by far number 1 in Europe. The major Fukushima disaster knocked 2 to 10% from Japan’s GDP, but when Doel goes into meltdown, the cost is estimated to be 200% of the GDP of Belgium. In such a scenario, GDP won’t really mean much. Most of Flanders and the capital of Europe will become inhabitable zones, sending millions of refugees to France, The Netherlands, Germany and the UK. Will they open their borders for a flood of immigrants from Belgium? And then there’s terrorism. For the last two years, Belgian authorities have claimed we are living under emergency level 3, just one notch below the State of Emergency that France is living under. This means a terrorist threat is “serious” and an attack “probable”. France has already experienced a series of undeclared drone flights over various nuclear power stations. The Bulletin of the Atomic Scientists later explained that the danger of that is not about drones carrying small explosives and crashing on the plant because in theory a nuclear plant can cope with a jumbo jet crash (although this has never been tested). But drones can easily carry AK47s and drop them inside the territory of the plant, even at night. In another scenario laid out by the atomic scientists, drones can attack the power lines and then the diesel generator back-up system. It requires a bit more organisation than driving a truck into a crowd, but less than teaching a terrorist team how to fly a jumbo jet, hijack several at the same time and fly them into the two WTC towers and the Pentagon. As we have learned the hard way in recent years, Belgium also happens to be a favourite hide-out for terrorists. Belgium’s authorities want us to believe that the terrorist risk has never been so high, but they don’t want you to connect that with our nuclear plants and with unexplained drone flights over nuclear plants. All this raises the question: is it still smart to count on a few vulnerable centralised power plants? And what about the waste of state money that seems to come hand-in-hand with nuclear power? Bulgaria wasted 1,221 billion euro on a plant that never materialized. Bulgaria is also still spending money to deal with the legacy of uranium mining, even though the last mine closed in 1992. When I visited the surroundings of the now closed Buhovo mine, stones of a size that would fit a child’s hand showed radiation 100s of times above normal. They were ready to be picked up and played with at a popular local picnic place. Conflicts against nuclear power plants and the formulation of constructive alternatives are popping up outside Europe as well: from India to Japan. So are the conflicts and externalised costs around the uranium that now feeds most of our reactors, from Niger to Namibia. Although there’s one other country that has become the EU’s main supplier: Russia. But as environmental justice, geopolitical weakening or financial debacles don’t seem to stop the nuclear addiction: will it have to take another meltdown? Policymakers seem to have forgotten that our countries signed up to the precautionary principle, which the EU still has in its Treaty. Maybe it’s time that the Germans, who are kicking nuclear out of their country, march once more on Belgium. As a Belgian citizen I do kindly request to come in peace and only armed with the renewable energy solutions that swept your country. Nick Meynen was the organiser of a 72km long anti-nuclear energy march from Doel to Brussels. He works for the ENVJUSTICE project and writes articles and books on environmental issues. 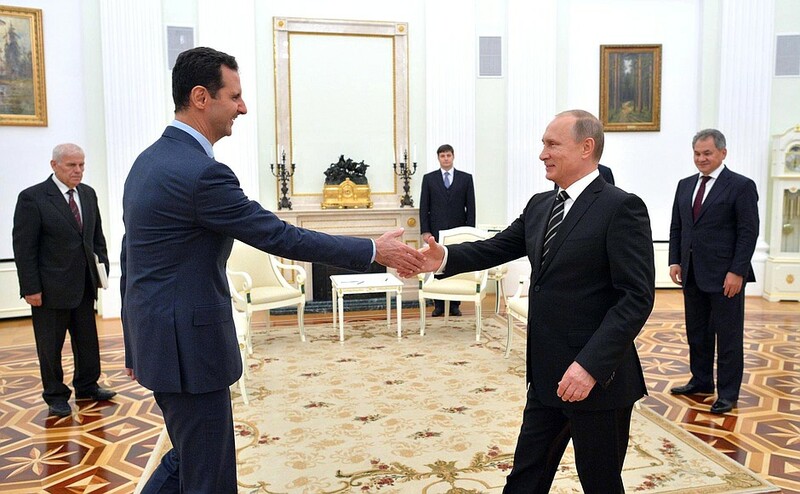 President of Syria Bashar Assad made a working visit to Moscow on October 20. 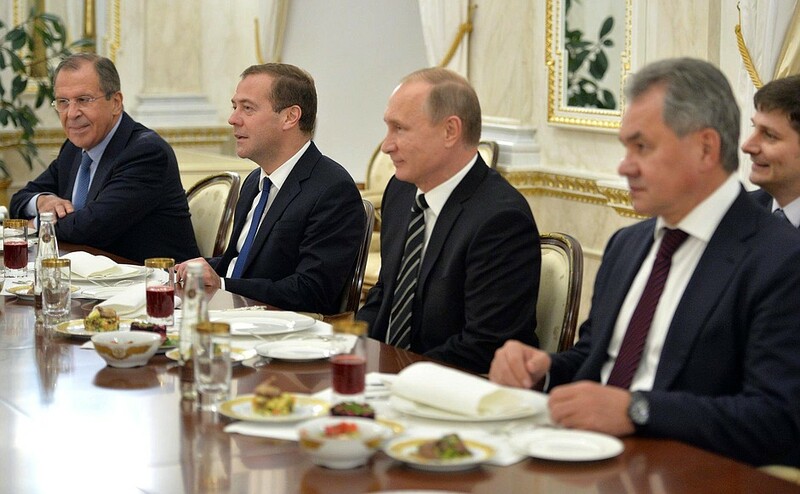 Russian-Syrian talks in narrow and expanded format with top Russian officials took place at the Kremlin. Let me wish you a warm welcome to Moscow. Despite the dramatic situation in your country, you have responded to our request and come here to Russia, and we thank you for this. 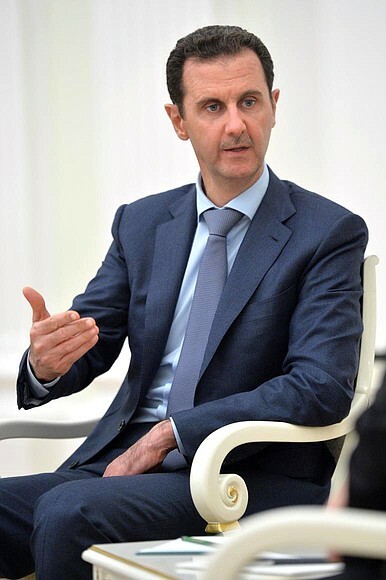 We took the decision upon your request to provide effective aid to the Syrian people in fighting the international terrorists who have unleashed a genuine war against Syria. The Syrian people has been practically alone in putting up resistance and fighting these international terrorists for several years now, and has suffered great losses. Lately though, there have been some major positive results in this fight. The attempts by international terrorists to bring whole swathes of territory in the Middle East under their control and destabilise the situation in the region raise legitimate concerns in many countries around the world. 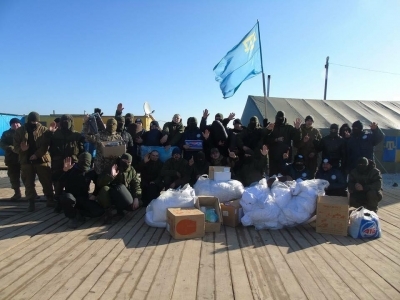 This is a matter of concern for Russia too, given that sadly, people from the former Soviet Union, around 4,000 people at least, have taken up arms and are fighting on Syrian territory against the government forces. Of course, we cannot let these people gain combat experience and go through ideological indoctrination and then return to Russia. On the question of a settlement in Syria, our position is that positive results in military operations will lay the base for then working out a long-term settlement based on a political process that involves all political forces, ethnic and religious groups. Ultimately, it is the Syrian people alone who must have the deciding voice here. Syria is Russia’s friend and we are ready to make our contribution not only to the military operations and the fight against terrorism, but also to the political process. We would do this, of course, in close contact with the other global powers and with the countries in the region that want to see a peaceful settlement to this conflict. Once again, I wish you welcome, Mr President. First of all, I want to express our tremendous gratitude to the Russian leadership and people for the help they are providing Syria. Thank you for supporting Syria’s unity and independence. Most important of all is that this is being done within the framework of international law. I must say that the political steps the Russian Federation has been taking since the start of the crisis made it possible to prevent events in Syria from taking an even more tragic turn. If it were not for your actions and decisions, the terrorism that is spreading through the region now would have made even greater gains and spread to even wider territories. You have confirmed your course of action by joining in the military operations as part of a common front in the fight against terrorism. Of course, we all know that any military action must be followed by political steps. Of course, our common goal is to bring about the vision the Syrian people have of their own country’s future. We must be particularly aware that military strikes against the terrorists are essential above all because we must fight terrorism, and also because terrorism is a real obstacle on the road to reaching a political settlement. Of course, the entire nation wants to take part in deciding the country’s fate, and not just the government. I want to thank the Russian people once more for the help you are giving Syria and express the hope that we will vanquish terrorism and continue working together to rebuild our country economically and politically and ensure peaceful life for everyone.